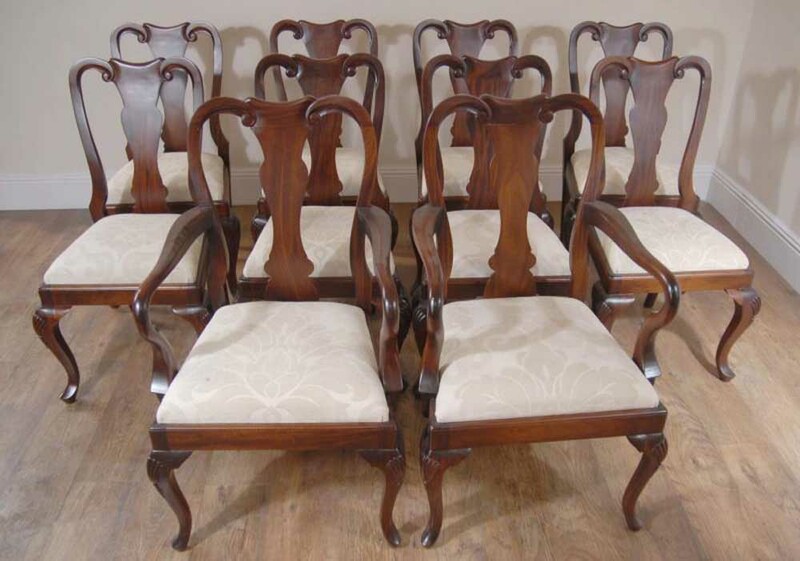 You are viewing a set of ten hand crafted English Regency style flower bar mahogany chairs consisting of 8 side chairs and 2 carvers or arms. 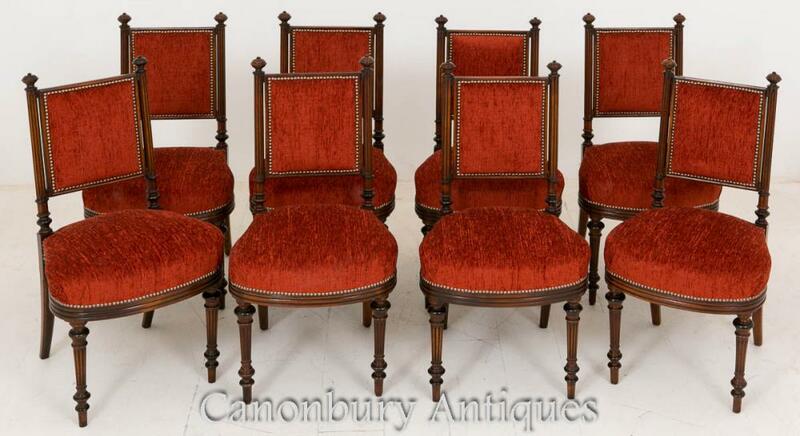 This set really are an elegant piece and the levels of workmanship and craftmanship really are high and amazing. We bought these from a dealer in York, whilst on a recent buying trip on the North. 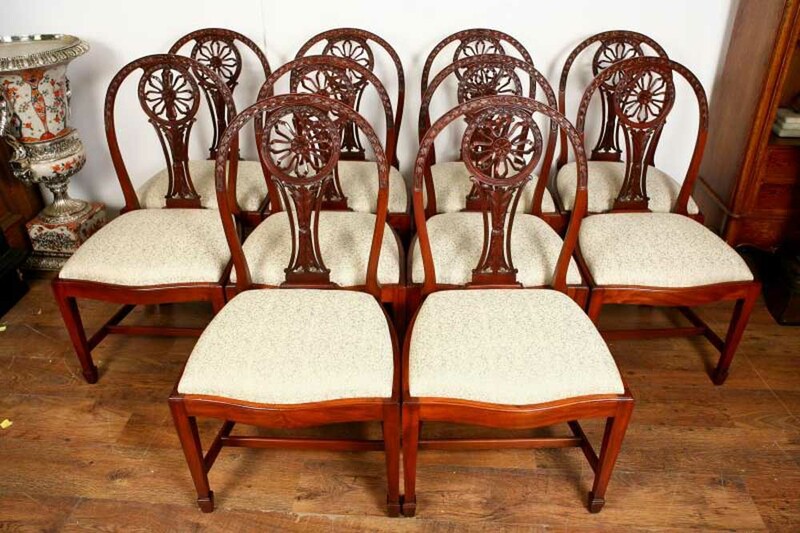 They are a solid and sturdy chair, perfect for long dinner parties. 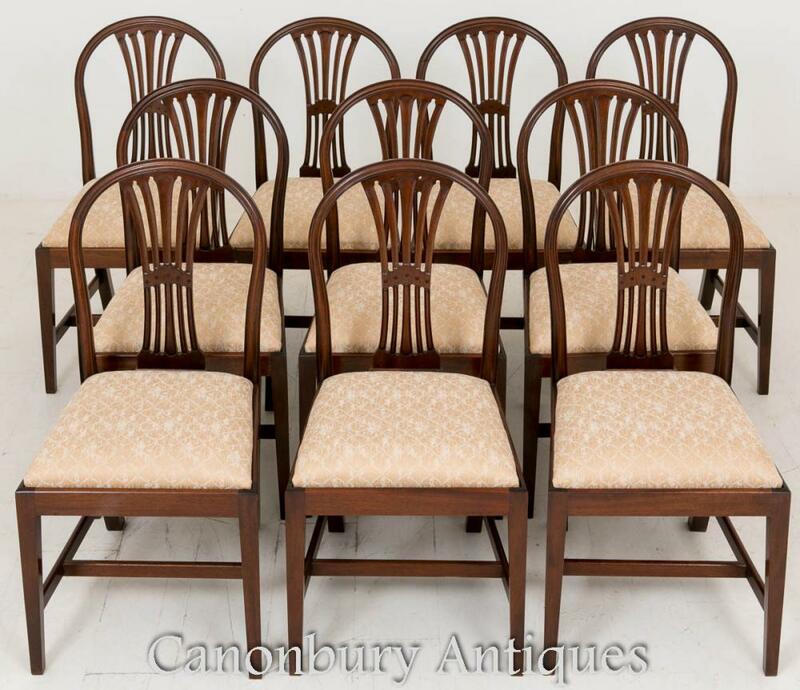 we have a suitable table to match these chairs for sale right now which we have pictured with the chairs on eBay so check our shop page or email for more info. 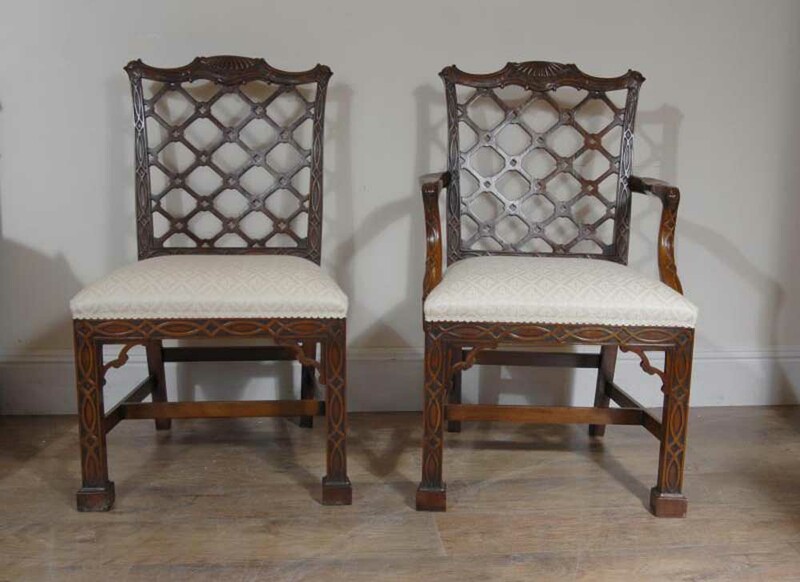 Each chair comes with a white patterned fabric cushion which is comfortable. 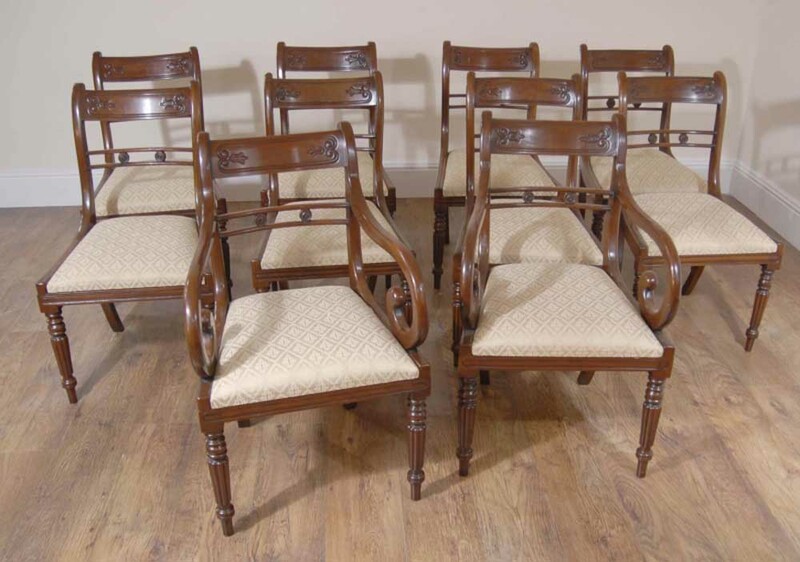 This set has just come back from the restorers where they were polished and had new upholstery so they are ready for home use straight away and will last you for generations to come. The fabric is new so hence comes free from any previous owners smells such as dogs and smoke. 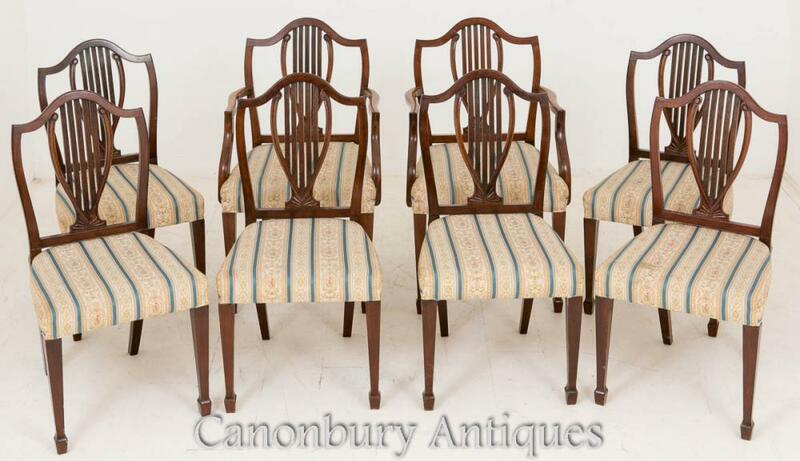 We also have tables to match these chairs – please email for further details or check our Ebay Store. 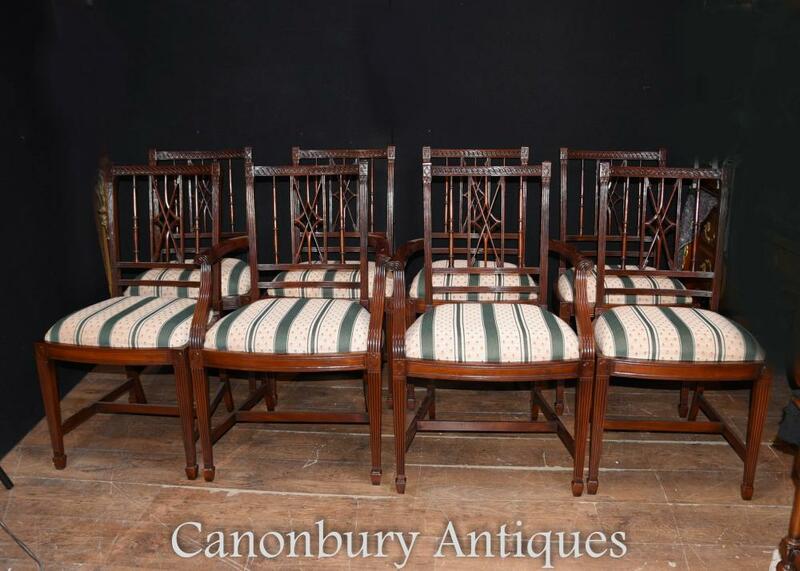 Of course, if you buy both chairs and a table we will offer a super discount. 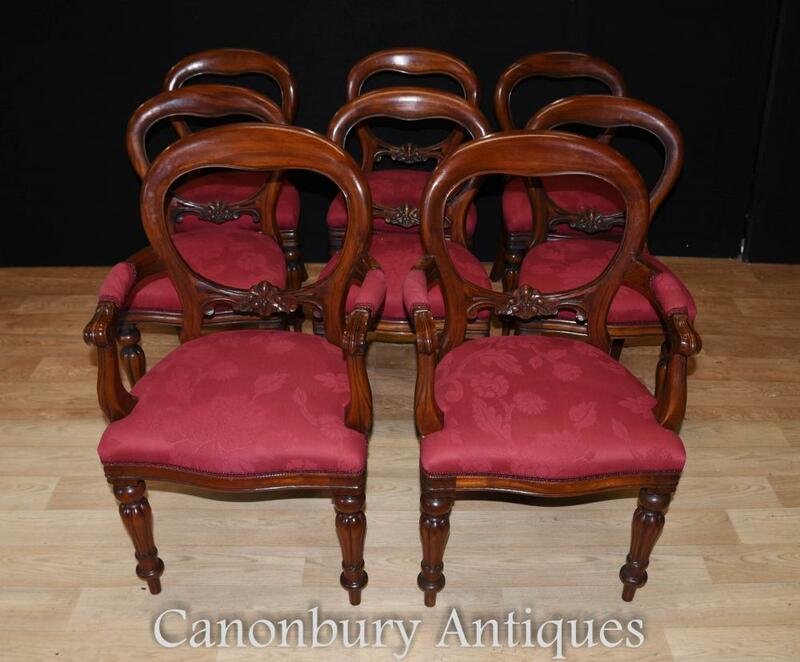 We have pictured them around two different tables – an English Victorian extending dining table and Regency Pedestal dining table also with leaves so you can change the size. 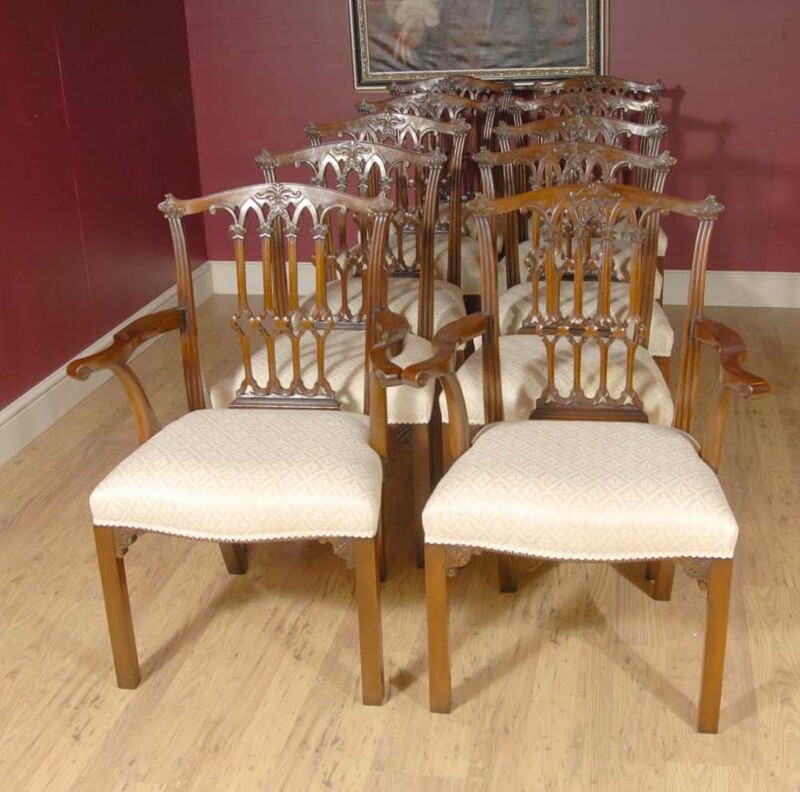 Please get in touch if you are looking for the ultimate dining set and we will be happy to oblige you.